The rise of data lakes, big data, self-service, NoSQL, Hadoop and the cloud raises questions about the role of the data warehouse in modern analytics ecosystems. Legacy data warehouses must modernize to fit gracefully into modern analytics. This report provides guidance to begin moving to data warehouses that are agile, scalable, and adaptable in the face of continuous change. 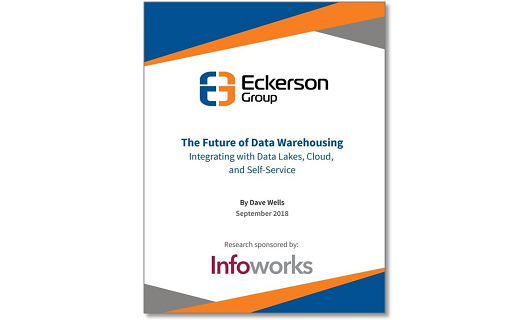 Written by the Eckerson Group, it describes strategies to combine data warehouses with big data, cloud, NoSQL and other recent technologies to resolve many of today's data warehousing challenges and to prepare for the future of data warehousing.